Blogging is my passion but because it’s not my full time job, I don’t always have time for it. Or should I say, I don’t always make time for it. However, thanks to the coolest gift in the world – a Passion Planner, I now have no excuses. The fiance knows how much I struggle when it comes to organisation, and so a few months ago he ordered me a Passion Planner. (It ships from the US, hence the fact that it took so long to arrive.) He gave it to me in November as a late birthday/early Christmas gift. 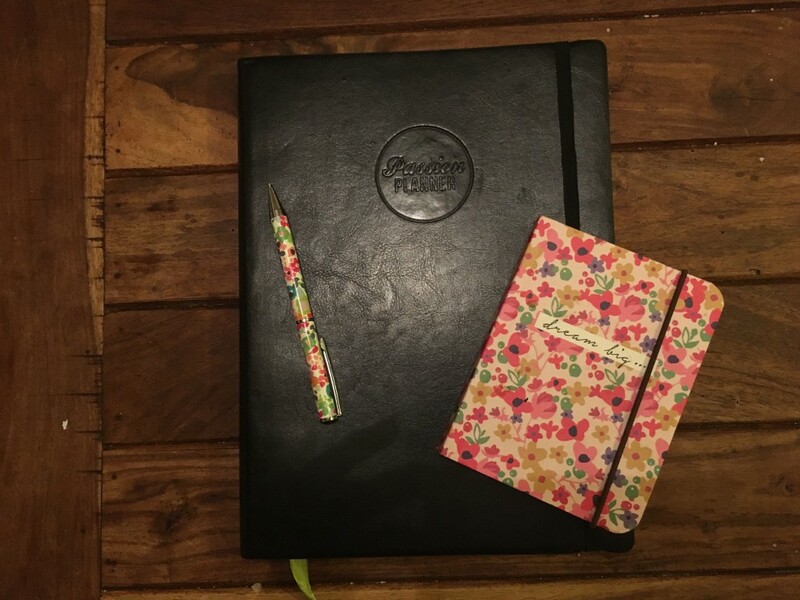 One of my 2016 goals is to be more organised with my blogging, and to ensure that I blog at least four times a week. 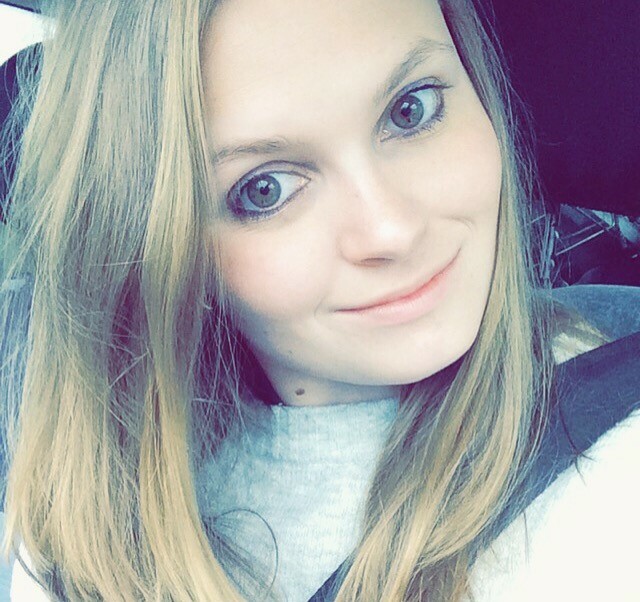 Why am I putting so much pressure on myself to blog? Well, the reason for this is simple – I want to boost my readership and make my blog a better resource. 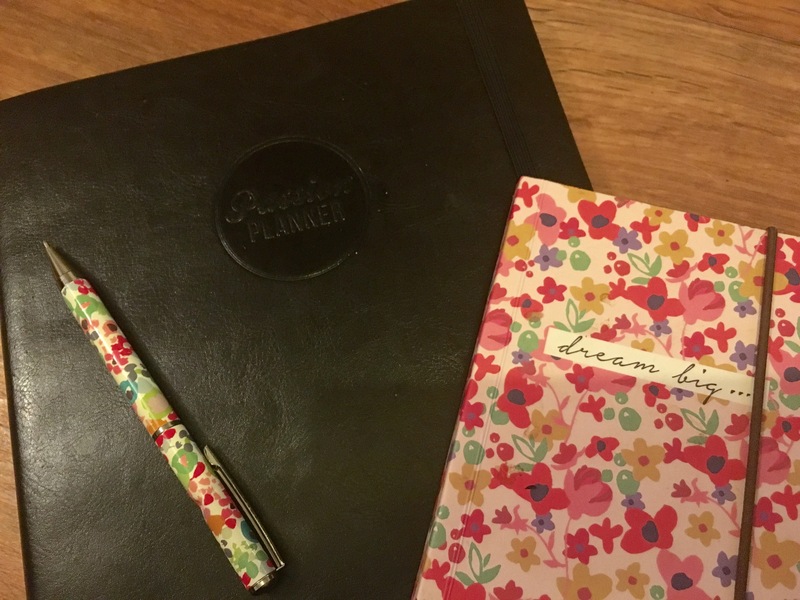 With my 2016 goals in mind, I thought that today, I would share some of my top tips for being a more organised blogger. Until the end of last year, the notes page on my iPhone was jam-packed with blog idea after blog idea. While having all my post ideas on me at all times was handy, it was a struggle to keep them organised. That’s why this year, I have started using my ‘dream big…’ note book (pictured above) for jotting down any post ideas that pop into my head. Having a weekly schedule for your blog will allow you to get into a routine when it comes to your blogging, which is essential if you hope to one day make it your career. For example, if you want to blog four times a week, you could use Mondays and Wednesdays for product reviews, Fridays for tips and advice articles, and weekends for tutorials. Having set days when you write and post things not only creates consistency for you, but also for your readers. This is where my lovely Passion Planner really comes into it’s own. Having an editorial planner for your blog, ensures that you’re not just throwing together random ideas and posts at the last minute. 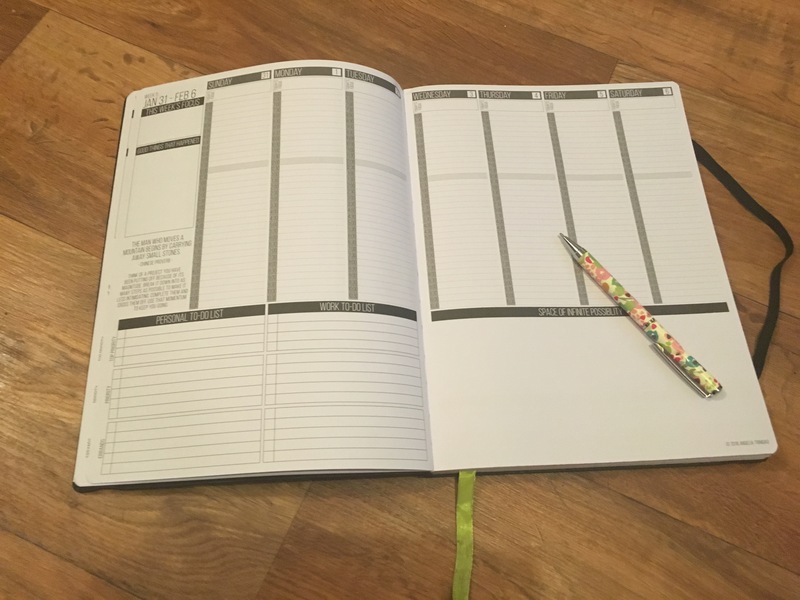 Treat your blog in a professional way and use a planner to organise your ideas for the month, and also to work out when each post will be written, when photos will be taken, and when it will be posted. Do this, and this year, your blog will come on in leaps and bounds, I promise you. If you don’t already have a planner, I highly recommend investing in a Passion Planner. If buying the bound version is too pricey, you can get a free downloadable copy online from the Passion Planner website. The great thing about Passion Planner is that unlike other organisers, it has sections for just about everything. No more scrunched up, tiny writing in the margin about ideas, as on each page there’s an idea’s section. Each day is divided into 30-minute slots, so that you can schedule every last thing that needs doing. You also have a to-do list area, a focal point section and a list of things not to do, such as skipping blogging. What I like most about this planner is at the start of the month you have a double page that’s used for mapping your month out. And then at the end of the month, you have another double page that’s for reflecting on the month’s goals. Pretty amazing, right? There you go, all my top tips for getting a little more organised with your blogging. Do you have anything to add? If so, please let me know in the comment section, below.